At Northwest Crafted Interiors, we believe that a car is as unique as the person who drives it. We offer high quality detailed interior customization on new and used vehicles as well as classic car interior restoration to return your much-loved antique to its beautiful original state. With over thirty years experience in car upholstery, Northwest Crafted Interiors has the skills and the eye for design to make your dream car a reality. Northwest Crafted Interiors is about the beauty of cars as a whole, we truly love what we do, and we take pride in providing high quality interiors and first in class services to our customers. We don’t believe in a job too big or too small, which is why we provide services beyond full custom interiors and restoration interiors. Our father and son team has over thirty years experience in high end custom upholstery. From classic car interior restoration, to custom racing seats or reupholstering your boat, Northwest Crafted Interiors has the technical know-how, delicate touch, and attention to detail it takes to bring your vision for your vehicle to life. Jordan’s interest in the automotive world began when he turned 16 and got his first car. His love for modifying and customizing cars sparked his curiosity to learn upholstery. In 2013 he joined his dad at S and S Custom and has loved interior customization ever since. He has brought in a new market of clients specializing in imports and Euro cars, with a passion ignited by customizing his own Audi. You may have seen some of Jordan’s and Scottie’s first projects together as Northwest Crafted at shows in the Pacific Northwest such as Stancewars and Waterwerks. In his free time Jordan enjoys snowboarding, playing guitar and drums, and helping friends work on and modify their cars. Formerly the founder and President of S and S Custom, Scottie has been in business for 30 years. 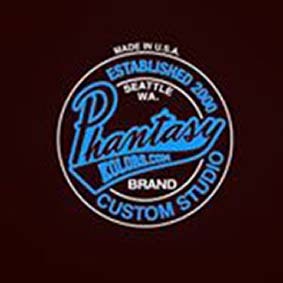 It is likely you have seen his work at car shows in Western Washington as many of his clients have taken awards for upholstery. You may have also seen him on Hot Rod TV featuring a truck that he collaborated on with famous painter Mike Lavallee. He has established a strong working relationship with the top car builders and restoration shops in this state. His experience spans the gamut from classic restoration to full custom projects and his passion for his trade is obvious from the moment you meet him. In his free time, Scottie enjoys spending time with his wife and two sons, and loves to hear live music. Few people know that he also has a culinary arts degree and is an amazing chef! Follow our Instagram to keep up with our latest happenings and projects. If you’re looking for experience, dedication, and quality service for your restoration project, contact us today! To ensure we can reach you, please be sure to double check that all of your information is correct prior to submitting your form. We value your business and would like to answer any questions you may have.